This Tamdhu is part of the 24 x 20cl bottles that make up the Carn Mor Vintage Collection. Distilled in 1989 and bottled in 2012, it’s from a limited edition of 480, Cask No: 8149. Non-chill filtered, no added colour and 46%, so the makings of something very delightful! 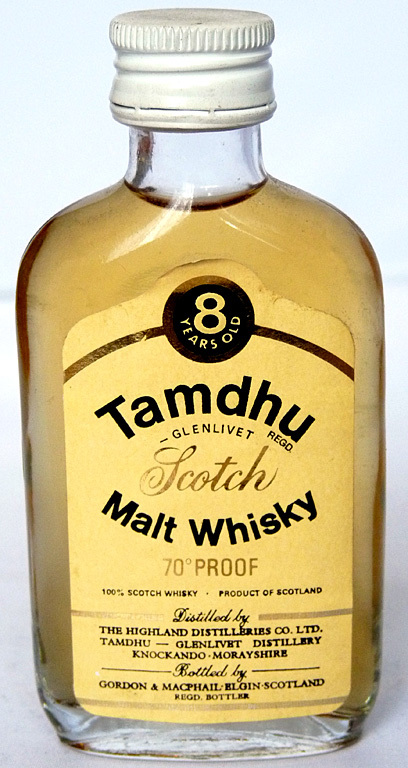 Tamdhu is almost the quintessential easy-drinker with a light body and malty sweetness. It’s a key component of blends like J&B, Cutty Sark and Famous Grouse but in 2010 the owners, Edrington’s, deemed the distillery surplus to requirements and closed it down. In 2011 Tamdhu was bought by Ian Macleod Distillers and re-commissioned in 2012. They have a good-looking new website and an online shop where you can buy their sleek-styled bottles of 10yo, Batch Strength and Limited Edition 10yo. Nose: Apple, almond, caramel, apricot, tangerine peel and vanilla. It does have a sharp peppery edge to it. Taste: Almond, apple, caramel, tangerine, vanilla and a little smoke. Finish: Almond, red apple and caramel. Comments: Not as creamy as I know Tamdhu. I would have guessed it to be younger as well. The miniature I have is an 8yo bottling of Tamdhu by Gordon & MacPhail. Although mine is potentially 1980s, the latest version appears in the Whisky Bible 2015 where it scores 84.5/100 with the comment “quintessential Speyside in its simplistic juicy broadside and light vanilla backing”. In the 2006 version of the Whisky Bible an earlier version of the 8yo by G&M scores 80/100 with the summary “grassy, bright and mouthwatering”. Scoring 86/100 on Whiskybase from 8 votes is an excellent score. 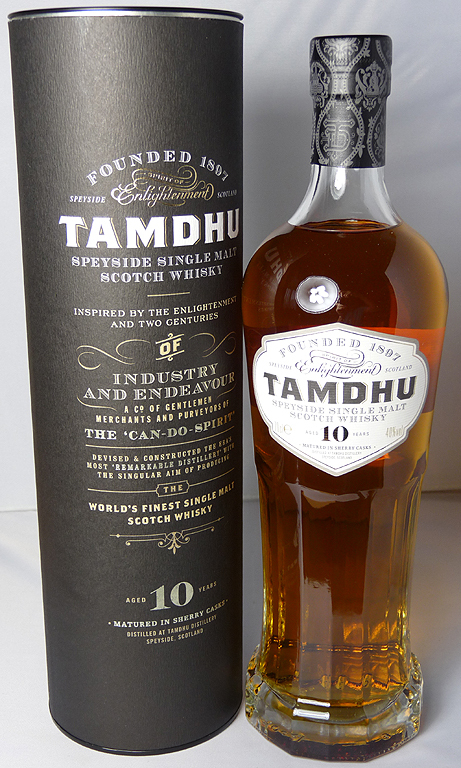 Overall, for Speyside fans, this Tamdhu is certainly one to try.